Digital version in code format, or cd key, for Nightfall Escape downloadable from Steam platform, so you must have a valid Steam account to download it. 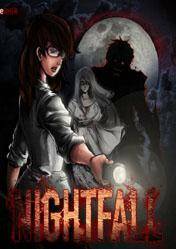 Nightfall Escape is a terrifying game or survival horror in which we must investigate the mysteries of an abandoned mansion and unravel the hidden forces of the plot. We embody the role of Ara Cruz, an aspiring journalist, with which we uncover the mysterious disappearances in a village in northern Philippines. A huge mansion full of mazes and monsters based on the Philippine folklore. The survival horror genre fans will enjoy this impressive title. Are you ready to unveil the mysteries of this terrifying place and face terrifying dark forces? Do not forget to share via social networks best prices for Nightfall Escape. There are no comments yet about Nightfall Escape . You can be the first one!